Trusted Real Estate Advisors providing knowledge and skills based values. Working to help people achieve their goals faster than they could in our absence. Family owned and operated by Tony and Anthony de Movellan since 1967. From the start we quickly gained a reputation as one of the most highly respected and sought after real estate firms in Central Kentucky. 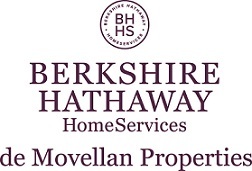 The seeds for this new era were sown when Berkshire Hathaway, one of the most respected companies in the world, took aim of building the best real estate franchise system in the world. "Great agency to work with. I have done four transactions with them in the past few years and their team of professionals made it seamless. Highly recommend them."